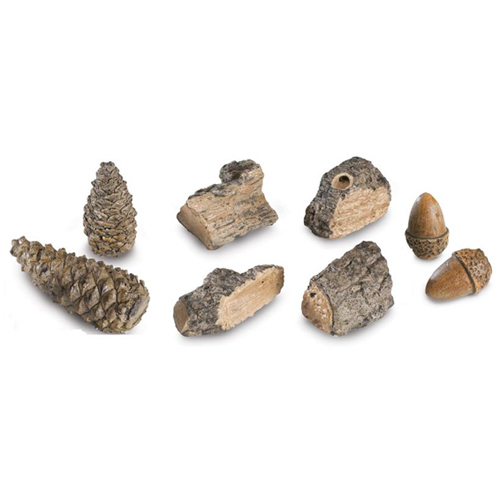 Includes 2 Acorns, 2 Pine Cones and 4 Wood Chips. For use as a decorative accessory with your gas log set. NOT for use on burner.